​Ibiza | Poolhouses encourage dreaming and relaxation. 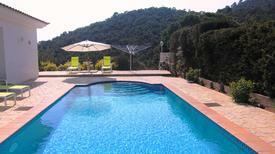 You can enjoy your holiday to the fullest from the pool, with a view of the mountains or the sea. 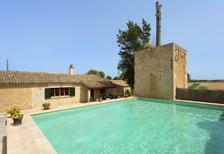 A holiday house in Spain costs on average USD 986 in the cheap travel period and USD 1,674 in the peak season per week. These details are of course in relation to the house and not per person as well as includes the obligatory additional charges. A holiday apartment in Spain is the ideal way to make the most of this huge, gorgeous country — whether you're exploring the history of its great cities or relaxing on the beach or by your own private pool. Located in the south of Europe and benefitting from a marvellous climate, it suits everyone from culture lovers to those who just want to kick back and enjoy amazing food, wine and weather. Iconic cathedrals and galleries, neighbourhood bars serving sangria and tapas, coastal walks on the Costa del Sol and miles of stunning countryside are among the attractions of a holiday here. For many, the draw of a holiday to Spain is the seemingly endless sun and how easy it is to just sit back and make the most of the relaxed atmosphere. As well as its white sand beaches stretching for miles, the possibility to book holiday apartments with a sea view mean you may enjoy just hanging around your private pool with friends and family. Or, perhaps you prefer to be more active when on holiday, and hit the waves with water sports like jet skiing, snorkelling and many others. The centuries-old histories of its cities are also a big selling point for many visitors, with more old churches, ruins of monasteries, stunning castles, palaces and museums than you could ever hope to see in a lifetime. The iconic Sagrada Família Cathedral in Barcelona, Plaza Mayor in Madrid and Galicia Contemporary Art Museum in Santiago de la Compostela are among Spain's most famous landmarks. Another sight not to miss is the Real Alcázar Palace in Seville – capital of the beautiful southern region of Andalusia. Holiday homes in Spain are the ideal way to make the most of your time here, keeping your own sense of independence and choosing the activities and ways of spending your precious holiday time as you see fit. Browse local markets and pick up delicacies like chorizo and fresh fish to cook at your apartment. Or, spoil yourself at the many authentic restaurants along the coast or in the cities, where you can enjoy paella, tapas and local wines. Whether you prefer to get out and see all the sights or just sit and sunbathe by the pool or on your own roof terrace, holiday apartments and larger homes suit all types of visitors to Spain. 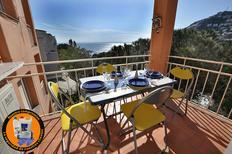 One of the reasons Spain is such a popular destination for holidays is that it really caters to every type of group. Perhaps you and your partner are looking for a romantic getaway with the dog in tow. Alternatively, groups of friends can make the most of the cities' vibrant nightlife, whether at popular party resorts like Magaluf or in downtown Madrid, Barcelona and Valencia. If travelling as a family, the beach resorts will keep kids and parents occupied, with access to the sea, water parks, hiking excursions and much more. Even when travelling alone, the majesty of Spain's wonderful landmarks and vast museums will teach you about the history and culture of Europe through time. 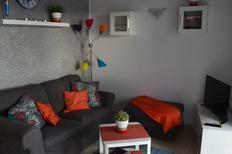 Holiday apartments in Spain are particularly popular for visitors to cities or those in smaller groups still looking to have their independence on a trip here. 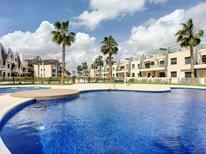 Airy, Southern European-style buildings will keep you cool as the sun blazes outside. 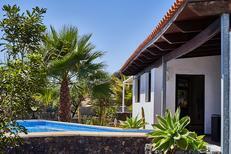 Villas are also popular, especially in beach resorts or anywhere with water nearby, and with your own pool you won't even need to walk more than a few metres from your bed to enjoy the sun, if you choose. If lazy days in the countryside and nights spent sharing drinks and good food with family and friends as the crickets chirp in the fields sounds ideal, then farm houses are another excellent option. In such a huge country, there really is something for everyone here. What everyone can certainly agree on is how great the weather is. The capital, Madrid, is found right in the centre of the country and is often said to be a combination of cosmopolitan London and traditional Lisbon. It's a mixture of cultures and features much of the country's best historic sites, like the Royal Palace of Madrid. Barcelona is also highly popular, excellent for art and architecture buffs and found near the coast. 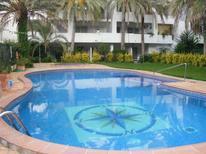 In the Costa del Sol, book a holiday home at the beach in destinations like Marbella, or Alicante in the Costa Brava. 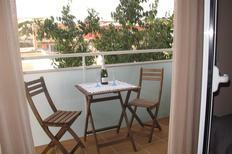 Holiday apartments in Spain give you the ultimate independence and let you see the country authentically. Getting to the country of sun, sea and sangria is very easy from Great Britain. It takes about two and a half hours to fly from London to Madrid, and just a little over two hours to Barcelona or three hours to Marbella. Palma de Mallorca on the Balearic Islands is also a short distance away, and flights to these popular hubs are very frequent. Internally, car hire is a popular way to get around if you fancy staying in a more rural holiday apartment in Spain, for example when booking a finca, a traditional country house. When is the best time to come to Spain? The best time to book a holiday in Spain definitely depends on what you're looking for from a trip here. If the sizzling temperatures in the height of summer appeal, then June to September is ideal, especially if swimming in the sea or spending all day at the pool sounds attractive. That said, even in the middle of winter the cities like Madrid very rarely dip below 10°C, and around the end of autumn or the beginning of spring can be an excellent time to stroll around and beat the bigger crowds. You'll often find the weather quite mild even in December, and checking out the cities' Christmas markets in this traditional Catholic country can be a great experience on family trips. Handily, Spain is an EU member country and uses the euro as its currency, so travelling to your holiday home in Spain is very easy and no visas are required if you're an EU citizen. The Spanish adore their pets and travelling with your dog is often possible. 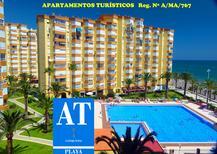 Enjoy a large selection and trust in TUI Villa's vetted holiday home owners in Spain when you book an apartment here.